The Hall CIO Constitution can be downloaded from here. 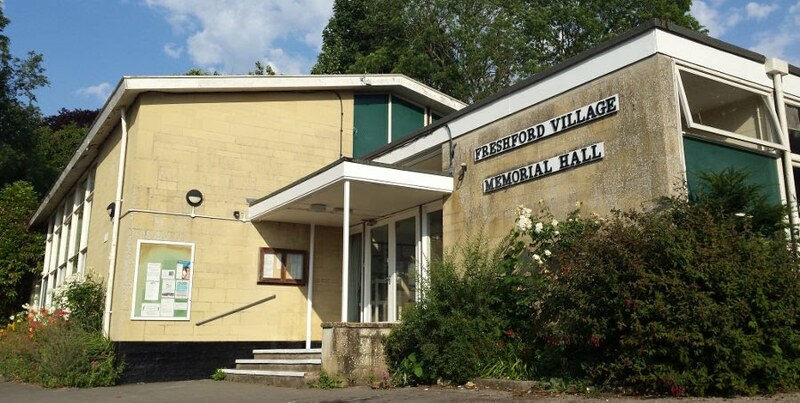 The Annual Report 2018 for Freshford Village Memorial Hall can be downloaded from here. The Annual Accounts for 2018 can be downloaded from here. The Annual Report 2017 for Freshford Village Memorial Hall can be downloaded from here. The Annual Accounts for 2017 can be downloaded from here. The current Hall building was opened on September 25th 1965. In the foyer of the Hall is a bell from HMS Freshford, a water carrier, which was employed principally in replenishing warships’ freshwater supplies and also, from time to time, in fire fighting and salvage work. The bell was offered by the Royal Navy to be hung in the Memorial Hall in April 1967. It was presented formally at the Flower and Produce Show on 16th September 1967 by Captain French. The Hall has a fine grand piano which was purchased by the Drama Group in May 1968.